Recall that in article one of this series we wrote that there are two main techniques to obtain a microbiome, a targeted (e.g., bacteria or fungi) or a metagenome (in which all DNA in a sample is sequenced, not just specific targets like bacteria or fungi). In this column we will now explore metagenomes and some applications to food safety and quality. We have invited Dr. Nur Hasan of CosmosID, Inc., an expert in the field of microbial metagenomics, to share his deep knowledge of metagenomics. Our format will be an interview style. Safe food production and preservation is a balancing act between food enzymes and microbes. We will start with some general questions about the microbial world, and then proceed deeper into why and how tools such as metagenomics are advancing our ability to explore this universe. Finally, we will ask Dr. Hasan how he sees all of this applying to food microbiology and safe food production. Greg Siragusa/Doug Marshall: Thank you for joining us. Dr. Hasan, please give us a brief statement of your background and current position. Nur Hasan: Thanks for having me. I am a molecular biologist by training. I did my bachelor and masters in microbiology, M.B.A in marketing, and Ph.D. in molecular biology. 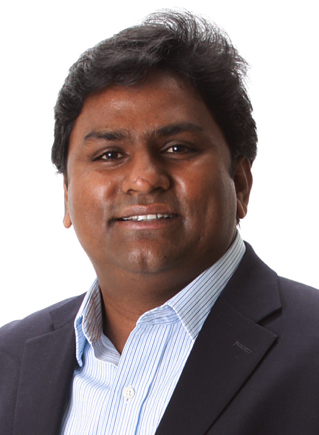 My current position is vice president and head of research and development at CosmosID, Inc., where I am leading the effort on developing the world’s largest curated genome databases and ultra rapid bioinformatics tools to build the most comprehensive, actionable and user-friendly metagenomic analysis platform for both pathogen detection and microbiome characterization. Siragusa/Marshall: The slogan for CosmosID is “Exploring the Universe of Microbes”. What is your estimate of the numbers of bacterial genera and species that have not yet been cultured in the lab? Siragusa/Marshall: In generic terms what exactly is a metagenome? Also, please explain the meaning of the terms “shotgun sequencing”, “shotgun metagenomes”, and “metagenomes”. How are they equivalent, similar or different? Hasan: Metagenome is actually an umbrella term. It refers to the collection of genetic content of all organisms present in a given sample. It is studied by a method called metagenomics that involves direct sequencing of a heterogeneous population of DNA molecules from a biological sample all at once. Although in most applications, metagenome is often used to refer to microbial metagenome (the genes and genomes of microbial communities of given sample), in a broader sense, it actually represents total genetic makeup of a sample including genomes and gene sequences of other materials in the sample, such as nucleic acids contributed by other food ingredients of plant and animal origin. The metagenome provides an in-depth understanding of the composition, structure, functional and metabolic activities of food, agricultural and human communities. Shotgun sequencing is a method where long strands of DNA (such as an entire genome of a bacterium) are randomly shredded (“shotgunning”) into smaller DNA fragments, so that they can be sequenced individually. Once sequenced, these small fragments are then assembled together into contigs by computer programs that find overlaps in the genetic code, and the complete sequence of the bacterial genome is generated. Now, instead of one genome, if you directly sequence entire assemblage of genomes from a metagenome using such shotgun approach, it’s called shotgun metagenomics and resulting output is termed a shotgun metagenome. By this method, you are literally sequencing thousands of genomes simultaneously from a given metagenome in one assay and get the opportunity to reconstruct individual genomes or genome fragments for investigation and comparison of the genetic consortia and taxonomic composition of complete communities and their predicted functions. Whereas targeted 16S rRNA or targeted 16S amplicon sequencing relies on amplification and sequencing of one target region, the 16S gene region, shotgun metagenomics is actually target free, it is aimed at sequencing entire genomes of every organism present in a sample and gives a more accurate, and unbiased biological representation of a sample. As an analogy of shotgun metagenomics, lets think about your library where you may have multiple books (like as different organisms present in a metagenome). You can imagine shotgun metagenomics as a process whereby all books from your library are shredded, mixed up, and then you will assemble the small shredded pieces to find text overlap and piecing the cover of all books together to reassemble each of your favorite books. Shotgun metagenomics approximates this analogy. Metagenome and metagenomics are often used interchangeably. Where metagenome is the total collection of all genetic material from a given samples, metagenomics is the method to obtain a metagenome that utilizes a shotgun sequencing approach to sequence all these genetic material at once. Shotgun sequencing and shotgun metagenomics are also used interchangeably. Shotgun sequencing is a technique where you fragment large DNA strands into small pieces and sequence all small fragments. Now, if you apply such techniques to sequence a metagenome, than we call it shotgun metagenomics. Go to page 2 of the interview below. How safe is a raw diet? Could sterilizing our food actually make us more prone to sickness? Are vegans healthier than carnivores? In the last few decades, global food poisoning scares from beef to peanut butter have kept food scientists and researchers around the world asking these questions and searching for improved methods of handling and testing what we eat. It’s been more than 150 years since Louis Pasteur introduced the idea of germ theory—that bacteria cause sickness—fundamentally changing the way we think about what makes our food safe to eat. While we’ve advanced in so many other industrial practices, we’re still using pasteurization as the standard for the global food industry today. Although pasteurization effectively controls most organisms and keeps the food supply largely safe, we continue to have foodborne outbreaks despite additional testing and more sophisticated techniques. The potential health promise of genomics, and the gut microbiome genetics and bacterial ecosystems, could be the key to the next frontier in food safety. The scientific community is once again at the cusp of a new era with the advent of metagenomics and its application to food safety. What is metagenomics? Metagenomics is the study of the bacterial community using genetics by examining the entire DNA content at once. Whole genome sequencing of a single bacterium tells us about the DNA of a specific organism, whereas metagenomic testing tells us about the interaction of all the DNA of all the organisms within a sample or an environment. Think of the vast quantity of genetic material in the soil of a rice patty, a lettuce leaf, your hand, a chicken ready for cooking, or milk directly from a cow. All of them have thousands of bacteria that live together in a complex community called the microbiome that may contain bacteria that are sometimes harmful to humans—and possibly also other bacteria that help to keep the potentially harmful bacteria in check. Metagenomics uses laboratory methods to break up cells and extract many millions of DNA molecular fragment, and sequencing instruments to measure the sequences of A’s, C’s, G’s, and T’s that represent the genetic information in each of those fragments. Then scientists use computer programs to take the information from millions or billions of fragments to determine from what bacteria they came. The process is a little like mixing up many jigsaws, grabbing some pieces from the mix, and figuring out what was in the original pictures. The “pictures” are the genomes of bacteria, which in some cases carry enough unique information to associate a given bacterium with a previously seen colony of the same species. Genomics of single bacterial cultures, each from a single species, is well established as a way to connect samples of contaminated foods with reported cases of foodborne illnesses. With metagenomics, which essentially looks for all known species simultaneously, one hopes to do a better job of early detection and prevention. For example, if a machine malfunction causes pasteurization or cleaning to be incomplete, the metagenomics measurement will likely show compositional shifts in which bacterial phyla are abundant. 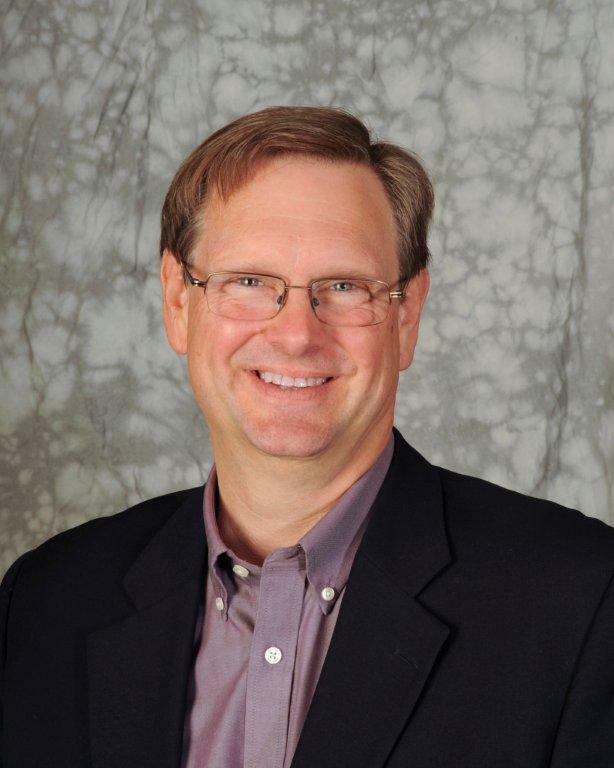 This can make it possible to take remedial action even before there are signs of pathogens or spoilage that would have led to a costly recall. Up until now, keeping food safe has meant limiting the amount of harmful bacteria in the community. That means using standard methods such as pasteurization, irradiation, sterilization, salt and cooking. To determine whether food is actually safe to eat, we test for the presence of a handful of specific dangerous organisms, including Listeria, E. coli, and Salmonella, to name a few. But what about all the “good” bacteria that is killed along with the “bad” bacteria in the process of making our food safe? Nutritionists, doctors and food scientists understand that the human gut is well equipped to thrive unless threatened by particularly dangerous contaminants. The ability to determine the entire genetic makeup within a food could mean being able to know with certainty whether it contains any unwanted or unknown microbial hazards. Metagenomic testing of the food supply would usher in an entirely new approach to food safety—one in which we could detect the presence of all microbes in food, including previously unknown dangers. It could even mean less food processing that leaves more of the healthful bacteria intact. More than 150 years ago, Pasteur pointed us in the right direction. Now the world’s brightest scientific minds are primed to take the food industry the next leap toward a safer food supply. Americans consume 350 billion pounds of food each year, with one out of six people falling victim to foodborne illness, and 3000 dying. 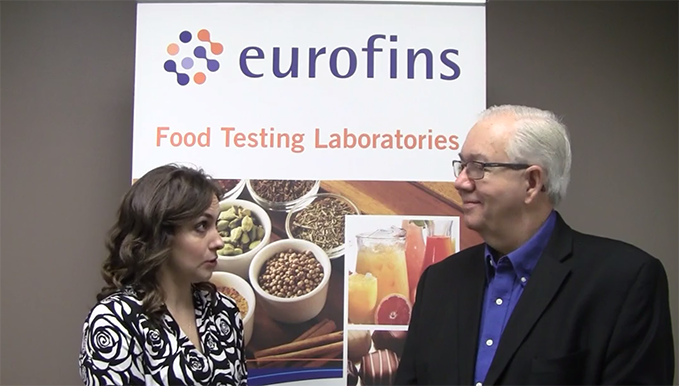 The significant amount of Listeria outbreaks hitting the industry (most recently, the staggering number occurring in produce) has left many food safety and quality assurance professionals searching for better methods of prevention and detection. Using big data, specifically metagenomics, to improve food safety and detect potentially deadly outbreaks is indeed where the future is headed. DID YOU KNOW? The estimated U.S. cost of one case of Listeriosis is $1.4 million. Listeria is a prime concern due to the high percentage of fatalities that occur as a result of contracting Listeriosis. And what’s worse is the fact that many of the cases are preventable. 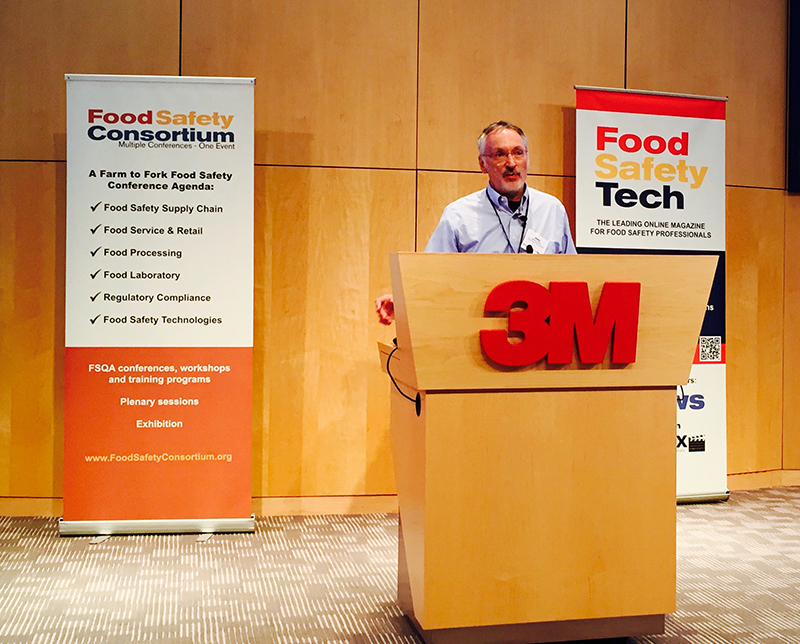 During Food Safety Tech’s Listeria Detection & Control Workshop this week, John Besser, Ph.D., deputy chief of CDC’s Enteric Diseases Laboratory Branch, outlined how the agency is leveraging metagenomics to find unrecognized problems in the food supply. Perhaps the most important element of disease surveillance is that it enables the detection of new issues, especially those whose presence was previously unknown. 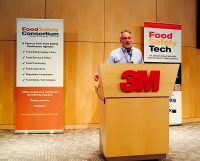 Pathogen-specific surveillance allows the detection of more outbreaks, which will in turn make the food supply safer, because it will enable industry to understand the root causes of outbreaks and help them address problems much sooner. The CDC is focused on genome-based outbreak detection because of its ability to achieve faster detection—and with greater precision in identifying the source. The method has also helped the agency solve outbreaks with fewer cases occurring, and it concurrently helps rule out sources. PulseNet, a nationwide database (comprised of 87 labs in the United States) that links cases most likely to share a cause for illness, has prompted food safety improvements across a variety of products, including sprouts, peanut products, leafy greens, flour, melons, eggs and poultry. Combine this capability with the Listeria initiative, which was launched in the mid-2000s, and the CDC has been able to find more (and smaller) outbreaks than ever before. In fact, there’s been a dramatic increase in the number of outbreak cases that have been solved (with the food source being identified). During the pre-whole genome sequencing (WGS) stage (September 2012­–August 2013), only one outbreak was solved; in year one of the WGS project (September 2013–August 2014), four cases were solved; in year 2 of the WGS project (September 2014–August 2015), nine outbreaks were solved. In these respective time periods, the median number of cases per cluster dropped from six to four to three. In addition, the number of cases linked to a food source jumped from 6 to 16 to 93 during this respective time period. Besser also discussed the role of metagenomics, or the study of total genetic material recovered directly from environmental samples. A couple of years ago, this was science fiction and wasn’t possible, he said. But as we look to the future, metagenomics will become a lot cheaper as computers become more powerful—and at break-neck speed. He referenced IBM Research, who earlier this year announced a project being conducted in conjunction with Mars, Inc. and Biorad for sequencing the food supply chain (calling it the “largest-ever metagenomics study”). Metagenomics enables the profiling of communities of microbiomes anywhere in the food supply chain. And the method is fast—it can potentially shave weeks off the process of identifying clusters of interest. In addition, it can increase the value of interviews conducted with patients who have fallen ill (Think about it: Do you remember what you ate two weeks ago? What about a month ago?). Currently there are several limiting factors surrounding metagenomics: Cost; sequencing read length and error rate; specific software (and pipelines); computing processing power and bandwidth; and the signal-to-noise factor. However, with the rapid rate in which technology has been improving in this space, the high likelihood of these issues being addressed and resolved in the not-so-distant future will present exciting opportunities in outbreak prevention and detection.